A leading college success nonprofit in California, 10,000 Degrees helps students from low-income backgrounds get to and through college: 85% of our students are the first in their families to go to college. Thanks to comprehensive personal support, academic counseling, and financial aid management, more than 80% of 10,000 Degrees four-year college students earn bachelor's degrees, compared to 31% of their peers nationally. At the same time, 10,000 Degrees community college students transfer to and graduate from four-year colleges at three times the national average. Unlike with most other college support organizations, there is no GPA requirement for students applying to 10,000 Degrees programs. Currently, 10,000 Degrees supports students in 19 area high schools, 10 community colleges, and over 50 four-year colleges and universities in California and across the country. A Gift For Teaching (AGFT) is a 501c3 nonprofit organization and Central Florida’s primary provider of free school supplies to teachers for their students in need. Serving high-need public schools of Orange and Osceola counties, AGFT ensures every child has the basic learning tools and experiences they deserve to succeed in school and life. Since 1998, AGFT has distributed more than $120 million worth of classroom essentials – including pencils, books, backpacks, notebooks, and hygiene items. Learn more at www.AGiftForTeaching.org. The mission of AIM for Seva is to bring millions of rural Indian children to schools and help them stay there by improving access. Programs include: establishing holistic learning 'student homes' in close proximity to schools, providing guidance and supervision with a trained caregiver, providing a program of coaching and tuition to help rural children cope with the curriculum and empowering students with extracurricular programs teaching culture, art and life skills to shape character and personality. Founded in 1925, AMIT is the world's leading supporter of religious Zionist education and social services for Israel's children and youth, nurturing and educating Israeli children to become productive, contributing members of society. Our more than 70 schools and programs constitute Israel's only government-recognized network of religious Jewish education, incorporating academic and technological studies. These also include youth villages and facilities for children in foster care. At present, AMIT's more than 20,000 children come largely from impoverished and/or dysfunctional families; significant numbers are new Ethiopian and Russian immigrants, as well as young people of Sephardic backgrounds. Founded in 1934, the Academy of Vocal Arts (AVA) is the only tuition-free institution dedicated exclusively to the study of voice. The AVA's mission is to provide vocal and opera training of the highest quality to exceptionally talented and committed young singers who have the potential for international stature, and to present them in professional performances that are accessible to a wide community. Gifted singers have come from throughout the world to seek the exceptional guidance and training that The Academy of Vocal Arts offers. Admission into AVA's four-year program is highly competitive, with approximately 30 singers enrolled in any given year. Those who are accepted are immersed in an intensive performance program led by some of the most dedicated and inspired teachers and creative artists in the world of opera.<br><br>Recent graduates include Stephen Costello, Ailyn Perez, Angela Meade, Michael Fabiano, Bryan Hymel, Eglise Gutierrez, Burak Bilgili, Ellie Dehn, and James Valenti. AdoptAClassroom.org gives teachers a hand by providing needed classroom materials so that students can succeed.<br><br>It is estimated that more than 15 million children don't have the resources they need to succeed in school and that teachers spend more than $1 billion a year stocking their own classrooms due to a lack of funding in schools. Supporting K-12th grade students, including public, private, and charter school classrooms, AdoptAClassroom.org makes it easy for donors to provide funding and support to classrooms throughout America. Teachers register their classrooms and needs online; donors discover classrooms through simple search tools, and make targeted contributions. As an award-winning 501(c)(3) non-profit, we are able to connect donors with every classroom in the country. The Afterschool Alliance was established in 2000 by the Charles Stewart Mott Foundation, the U.S. Department of Education, J.C. Penney Company, Inc., the Open Society Institute/The After-School Corporation, the Entertainment Industry Foundation and the Creative Artists Agency Foundation. The Afterschool Alliance works to ensure that all children have the access to affordable, quality afterschool programs. As the nation's leading voice for afterschool, the Afterschool Alliance is the only organization dedicated to raising awareness of the importance of afterschool programs and advocating for more afterschool investments. They work with the Administration, the U.S. Congress, governors, mayors and advocates across the country. Founded in 1995, Alliance for Education works to help every child in Seattle Public Schools achieve academic success. We pursue this mission by securing seed capital for innovations in learning and by fostering city-wide support for excellence in schools. We act as a constructive partner to Seattle Public Schools. We champion change and help drive effective strategies that will increase student achievement. Like a venture capital firm that invests in start-up companies, we are focused on innovations that will help students learn and grow. By engaging the greater community in a thoughtful process, we create opportunities to inspire, inform, listen to, and learn from the collective wisdom of Seattle residents. At Alternatives in Action, we believe young people are powerful. Founded in 1996, Alternatives in Action (AIA) inspires Bay Area youth to express their leadership potential and prepare for college, career and community life through dynamic educational, skill-building and real world experiences. We believe in the power and promise of young people, we inspire them, support them, and create opportunities for young people to make a real difference. As a youth centered organization, Alternatives in Action envisions generations of young adults inspired and prepared to take meaningful action that positively transforms our their lives, neighborhoods, and their communities. American Friends of Nishmat (AFN) is the US-based entity proud to support the work of Nishmat, The Jeanie Schottenstein Center for Advanced Torah Study for Women, in Jerusalem. For over two decades, Nishmat has been educating Jewish women, empowering Jewish leaders, and strengthening Jewish communities. Nishmat is not just an institution but a vision. A vision of the advancing status of women as Torah scholars and leaders. A vision of broad and expanding communal and rabbinic consensus in support of women's spiritual leadership in mainstream Orthodox Jewish communities. With a 23 year track record of changing the Jewish communal landscape for the better, Nishmat remains the only place in the world where a woman can be trained as a Yoetzet Halacha (Woman Advisor in Jewish Law). Concurrently, Nishmat strives to reverse the cycle of poverty for disadvantaged Ethiopian immigrants to Israel, trains teachers for religious and secular Israeli schools, and promotes a culture of volunteerism. Tel Aviv University's American Friends are a worldly and intellectually sophisticated group, committed to nurturing higher education and developing Israel's best minds. We offer a stimulating variety of cultural, social and educational activities throughout the year, at venues across the country: special briefings, international conferences, intimate get-togethers and more formal events. We serve as a dynamic bridge between two inspired communities, American and Israeli, dedicated to excellence in scholarship and to strengthening Israel and the vital city of Tel Aviv. The American Indian College Fund provides scholarships, internships opportunities, and other life skills and career readiness support to American Indian students. An education is often the difference between a happy, healthy, and self-sustaining productive life and one that is not. Approximately 13% of American Indians have a college degree, well below the national average. To strengthen our country as a whole, the American Indian College Fund seeks to strengthen native communities by empowering native people with skills, knowledge, and experience. The American Indian College Fund directly supports over 4,000 American Indian students annually, and thousands more through indirect services and support. The American Technion Society (ATS) provides critical support to the Technion-Israel Institute of Technology, ranked among the world's leading science and technology universities. The ATS accomplishes this through a national organization of 21 offices and thousands of members from coast to coast. The ATS has a distinguished record of achievement having raised more than $1.5 billion since its founding in 1940. ATS regions and chapters offer a full program of events, seminars and networking sessions with Israel's premier scientific, educational, and business leaders. The ATS is constantly expanding its efforts to ensure the Technion's continued excellence and achievements. The Anita Borg Institute (ABI) seeks to increase the impact of women on all aspects of technology, and increase the positive impact of technology on the world's women. Since 1997, ABI has developed tools and programs designed to help industry, academia and government recruit, retain and develop women technology leaders. By providing inclusive platforms designed to ensure women's voices, ideas and spirits will result in higher levels of technical innovation, ABI delivers programs that are changing the world for women and for technology. The Arizona Private Education Scholarship Fund (APESF) is a School Tuition Organization developed under the guidelines provided in the AZ Private School Tuition Tax Credit Law of 1997. APESF was founded and incorporated in 1998 to provide educational scholarships to students attending private K-12 schools in the state of Arizona. APESF directs its support toward the student only, not the school. Therefore, all scholarships are awarded to the student applicant regardless of the qualified private school they have selected to attend. Based in Washington, D.C., the Asian & Pacific Islander American Scholarship Fund (APIASF) is the nation's largest non-profit organization devoted to providing college scholarships for Asian Americans and Pacific Islanders (AAPI). APIASF works to create opportunities for students to access, complete, and succeed after post-secondary education; thereby developing future leaders who will excel in their career, serve as role models in their communities, and will ultimately contribute to a vibrant America. Since 2003, APIASF has distributed more than $60 million in scholarships to deserving AAPI students. APIASF manages two scholarship programs: APIASF's general scholarship and the Gates Millennium Scholars/Asian Pacific Islander Americans funded by a grant from the Bill & Melinda Gates Foundation. Incorporated in 1968, the Association of Graduates (AOG) of the United States Air Force Academy (USAFA) is the alumni association of the USAFA, dedicated to serving our graduates and members, enhancing the heritage of this premier institution and enriching the cadet experience by funding programs not supported by appropriated funds. The AOG's three-part mission is: to work in partnership with the Academy to produce and foster graduates with an enduring commitment to integrity, excellence, and service to country; to provide leadership, communication, and support to all the Academy's graduates, and promote camaraderie among them; and to promote the Academy's heritage, common tradition, and the accomplishments of its graduates. The mission of the Barbara Bush Foundation is to advocate for and establish literacy as a value in every home. In 1989, Mrs. Bush pioneered the national family literacy movement, launching the Foundation that focuses simultaneously on early childhood education for preschoolers and adult literacy for their parents. Now almost three decades later, the Barbara Bush Foundation for Family Literacy continues to lead the national literacy movement and create family literacy opportunities for children ages 0-8, and their parents. Our mission is to broaden the educational opportunities for low-income families around the Bay Area by helping them afford the cost of tuition at the private school of their choice. Scholarships are available to students entering K-8th grade to attend private schools in all nine Bay Area Counties. Better Basics' mission is to make a positive difference in the lives of children and their families by advancing literacy through enrichment and intervention programs. Incorporated in 1994, we currently provide our services to 52 schools in Birmingham and surrounding school systems. During the 2013-2014 school year, Better Basics reached roughly 24,000 children and parents, gave away over 41,000 books to at-risk children, and provided enrichment programs to 14,000 students. The mission of the Big Shoulders Fund is to provide support to the Catholic schools in the neediest areas of inner-city Chicago. The funds raised by Big Shoulders are used for scholarships, special education programs, instructional equipment, much needed facility improvements, faculty support, and operating grants. Serving both Catholics and non-Catholics, Big Shoulders Fund supported schools are seen as anchors in their communities and in the lives of the families they serve. It is our hope to provide the inner-city Catholic schools with the resources to prepare Chicago's young people for a productive future. The Big Shoulders Fund seeks to offer inner-city children and their parents the choice of a faith-based, value-centered education. At Book Trust, all our work revolves around a single, sad fact: There are thousands of children in America who would like nothing better than to read, but have no books. We empower kids from low-income families to choose and buy their own books, all through the school year. And our focus on book choice and ownership is no accident. Studies show that children are much more likely to read books that they choose, and having books at home brings proven benefits. Best of all, our approach really works. Over a school year, the percentage of Book Trust students reading at grade level jumps from 31 percent to 59 percent. Breakthrough Austin provides out-of-school learning and academic case management from middle school through college to students from low-income communities who will be the first in their families to graduate from college. We believe that all Central Texas children from low-income communities should have the opportunity to go to college. Unfortunately, statistics say this won't happen without significant intervention. In fact, less than 6% of Central Texas middle school students from low-income communities will finish college, and only 11% of low-income high school graduates. To combat this trend, Breakthrough makes a 12-year commitment to successfully guide each of its students and families through the long and complicated process of preparing for, enrolling in and completing college. We believe that by providing innovative educational programs to children and their families, we can replace the cycle of poverty with self-sufficiency. Breakthrough Collaborative launches motivated middle-school students on the path to college and prepares older students for careers in education. A national nonprofit, Breakthrough Collaborative is devoted to preparing high-achieving middle-school students, most of whom are of color and from low-income families, to enter and succeed in college-preparatory high school programs. Breakthrough also recruits and trains outstanding high school and college students to become Breakthrough teachers and build an interest in careers as educators. Breakthrough students develop as highly motivated academic achievers who believe passionately in their ability to go to college. Breakthrough affiliates are in 24 cities across the U.S. and in Hong Kong. Cambridge in America (CAm) advances the mission of the University of Cambridge and its thirty-one member Colleges by providing expertise in fundraising and alumni relations and by growing the base of support for Collegiate Cambridge among alumni and friends in the US. Caring for Cambodia (CFC) believes that when knowledge cannot be handed down, it must be handed out. We work to educate one child at a time today, to make a difference for Cambodia's tomorrow. We create and sustain safe, modern, technologically equipped schools; mentor and professionally train teachers; and fund supplies and other tools needed to teach those who want to learn. CFC provides educational opportunities for Cambodian children so they may reach their highest potential and make valuable contributions to their communities. The Carson Scholars Fund supports two main initiatives: The Carson Scholars Program and The Ben Carson Reading Project. Our scholarship program awards students who have embraced high levels of academic excellence and community service with $1,000 college scholarships. The Ben Carson Reading Project provides funding to schools to build and maintain Ben Carson Reading Rooms – warm, inviting rooms where children can discover the joy of independent leisure reading. CSF changes lives by providing families with demonstrated financial need an opportunity to give their sons and daughters a quality education, focused on Christian values and character formation at Catholic Schools located throughout the Archdiocese of Boston, regardless of race, religion, ethnicity or gender. Center for Creative Education reinvents education through the arts. Creative approaches are infused into classroom curriculum and after school settings, to enhance the teaching of traditional academic subjects - improving each child's learning potential and academic performance, increasing overall enthusiasm about school and shaping more productive, responsible community members that exercise creative problem solving throughout life. The Center for Creative Education uses the arts to enrich and transform a child's educational experience. We use visual, performing and language arts to enhance children's knowledge of literacy, math and science. We help bring learning to life! Center for Inspired Teaching is building a better school experience for children through innovative teacher training. When students learn not just what to think but how to think, they will succeed in the classroom today and in college and careers tomorrow. Through professional development courses, in-classroom mentoring, and district partnerships, our research-based program challenges teachers to revisit their assumptions, personal philosophies, and beliefs about teaching and how children learn. Since its founding in 1914, Central Institute for the Deaf (CID) has demonstrated that regardless of how severe their hearing impairment, children can learn to speak and to understand the speech of others when early and appropriate education is provided. Today, cochlear implants and powerful digital hearing aids, combined with educational techniques developed at CID, are enabling more children to learn to listen, talk, read and succeed academically. CID teachers and audiologists are experts at helping deaf and hearing-impaired children gain the best possible benefit from today's rapidly changing technologies. We offer a language-rich, assessment-based educational program individualized to help every child achieve success. Central Scholarship is devoted to helping individuals achieve a better life through higher education. We believe that education is a right, not a privilege and that scholarships are an investment, not an expense. Founded in 1924, we award scholarships and interest-free loans to students pursuing higher education. Through Central Scholarship, students are able to afford tuition and fulfill their potential. Chicago Scholars is transforming the leadership landscape of our city by resolving the fundamental barriers to success for academically driven, first generation college students from under-resourced communities. Through college counseling, mentoring, and by providing a supportive community to our Scholars through each phase of our program: College Access: Launch, College Persistence: Lift and College to Careers: Lead, we ensure that they realize their full potential as students and leaders. Children's Scholarship Fund Philadelphia (CSFP) is a privately-funded program, established in 1998, whose mission is to broaden educational opportunities for K-8th grade students from low-income families in Philadelphia by providing them with tuition assistance. These four-year scholarships are need-based and awarded by random lottery. Currently, approximately 5,200 children have a CSFP scholarship to attend a private, parochial or other tuition-based community school. CSFP has awarded over 22,500 scholarships chosen from 165,000 applications in the last sixteen years. Church Hill Activities & Tutoring serves the youth of the East End of Richmond and equips them with the heart, head, and hands to make transformative life decisions. Classroom Central equips students living in poverty to effectively learn by collecting and distributing free school supplies. Classroom Central ensures that all children living in poverty have all the tools they need to not only learn but to succeed. When equipped with the proper supplies, we believe there's no limit to what children can achieve. Classroom Central serves high-poverty schools in six school districts: Charlotte-Mecklenburg, Gaston, Iredell-Statesville, Union, Kannapolis & Lancaster. Classroom, Inc.'s innovative curriculum engages students with the greatest needs and helps them develop academic skills essential for success in school and the workplace. Since 1991, our programs have been in over 700 sites in 15 states, and we have served over 600,000 students. Classroom, Inc.'s content-rich instructional programs turn classrooms into learning environments that motivate students through innovative teaching methods and materials based on the idea that young people learn better when they are compelled by their work. We develop computer software simulations that place students in virtual workplaces, create print curriculum materials corresponding to each simulation, and provide a comprehensive professional development program that helps teachers to effectively integrate our curriculum into their classroom instruction. College Bound provides promising students from under-resourced backgrounds with the academic enrichment, workforce development, social supports, and life skills needed to apply, matriculate, and succeed in four year colleges and careers. In 2006, two school districts approved the CB program, and 36 students placed their hopes for a better future in College Bound. The organization has grown to serve a projected 1,700 students (2012-13 school year) and their families through a variety of programs, including full scale implementation to 9th graders in four partner schools, and a comprehensive program that begins in 10th grade and serves students until they graduate from college. College Bound students come from 39 area high schools and are attending 70 colleges and universities nationwide. Founded in 1966, College Now Greater Cleveland is Northeast Ohio's only regional resource promoting educational awareness and opportunity to enrich our community and prepare the workforce of tomorrow. College Now works to increase college enrollment and success, primarily for students from Cuyahoga, Lorain, Medina and Summit Counties, through leadership, collaboration and the provision of advisory services and need-based financial assistance. College Now helps families, children and adults returning to college by providing access to postsecondary education. We provide college access services to Cuyahoga County residents interested in enrolling in four-year universities, community colleges and vocational and technical programs. Our programs offer: academic planning for higher education, financial aid advising, scholarships, college advising, career advising and retention services. College Track began two decades ago with the identification of a growing need: while advising high school seniors from East Palo Alto about college admission, our co-founders realized low-income and first generation college students faced the labyrinthine world of higher education with little or no guidance about how to achieve the goal of earning a four-year college degree.<br><br>College Track's comprehensive 10-year program empowers students from ninth grade through college graduation, equipping students to unlock their potential through academic, financial, and social supports including one-on-one mentoring, experiential and service learning, financial aid and college admissions coaching, access to scholarships, and advising through college graduation. Together, these components make a powerful, comprehensive program that empowers students to achieve their dream of a college education. Founded in 1990, the Collision Repair Education Foundation secures donations that support philanthropic and collision repair education activities that promote and enhance career opportunities in the industry. The ultimate goal of the Collision Repair Education Foundation is to create a future in which every entry-level technician hired will have graduated with the necessary skills and understanding of new technology to be well-trained, productive, and efficient employees from day one on the job. Founded in 2007, The Colorado Education Initiative is an independent non-profit that collaborates with the Colorado Department of Education (CDE), schools and districts across the state to accelerate achievement for all Colorado students. We believe every student can reach his or her full potential with the right set of supports. This means that every student in Colorado is prepared and unafraid to succeed in school, work, and life, and to take on the challenges of today, tomorrow, and beyond. Our innovative partnership with CDE and schools and districts in communities across Colorado help us find innovative ways to reach every learner, every day. For more than 30 years, Communities In Schools has been helping students achieve in school, graduate and go on to bright futures. Our mission is to surround students with a community of support, empowering them to stay in school and achieve in life. We believe that it's relationships--not programs--that change children, and so our organization focuses on the power of a caring and connected adult. Our unique model positions site coordinators inside schools to assess students' needs and provide resources to help them succeed in the classroom and in life. We partner with local businesses, social service agencies, health care providers and volunteers. Whether it's food, school supplies, health care, counseling, academic assistance or a positive role model, Communities In Schools is there to help. Our mission is to surround students with a community of support, empowering them to stay in school and achieve in life. We are actively engaged with policy makers, school staff, parents and business partners to ensure that Communities In Schools' services are extended to as many K-12 students as possible and that those students have access to college. Independent research demonstrates that Communities In Schools is one of a very few organizations proven to keep students in school and the only one to document that it increases graduation rates. The study also shows that a higher percentage of students served by Communities In Schools reach proficiency in 4th-grade and 8th-grade reading and math. ConnCAN, the Connecticut Coalition for Achievement Now, is leading a movement to improve education outcomes for Connecticut's kids. We bring advocates, policy makers, parents and educators together to change the system and give all kids access to the great public schools they deserve. ConnCAN's focus issues include: protecting progress on landmark education reforms; increasing access to high quality public school options; finding and supporting great teachers and principals; turning around chronically failing schools; developing a fairer funding system for every student; and providing accountability and transparency. Developments in Literacy (DIL) launched in 1997 by Pakistani-Americans with a desire to improve the dismal state of education in Pakistan's underdeveloped areas. 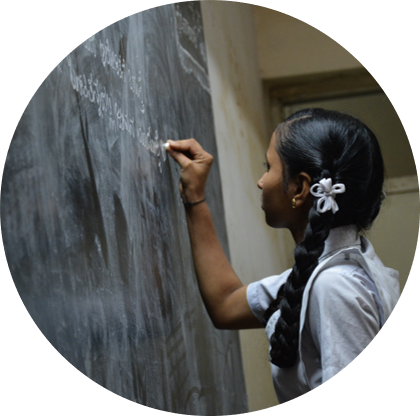 DIL currently operates and manages 120 schools with an enrollment of nearly 21,000 students. DIL is dedicated to providing quality education to disadvantaged children, especially girls, by establishing and operating schools in the underdeveloped regions of Pakistan, with a strong focus on gender equality and community participation. DIL establishes, adopts and manages primary and secondary schools for underprivileged children in partnership with non-governmental organizations in all four provinces of Pakistan. In addition, DIL directly operates community schools in Punjab and Sindh. Founded in 2000, DonorsChoose.org allows citizen philanthropists to fund specific project requests from teachers in U.S. public schools. We make it personal: donors choose a project that moves them, and then they hear back from the classroom with photos and updates. DonorsChoose.org validates the project request and purchases the resources for the teacher. To date, we have funded over 400,000 classroom projects to bring learning alive for students, providing more than 11 million children with books, technology, supplies, funding for field trips or class visitors, and other resources. Our vision is of a nation where students in every community have the resources they need to learn. Since its establishment in 1958, East Harlem Tutorial Program (EHTP) has been one of the most successful after-school educational programs in New York. Recognizing that each child has unique talents and learning styles, EHTP's After School Program relies on the interaction of parents, teachers and children in promoting literacy-based educational enrichment and personal development activities for enrollees between the ages of five and twenty-one. As a vital East Harlem education and enrichment center, EHTP works with children from early childhood through adulthood to ensure that they have the resources needed to access opportunities for academic, social and career advancement while fully engaging parents and caregivers in their children's development. Eastside College Preparatory School is an independent 6-12th grade school serving low-income students who will be the first generation in their family to go to college. All students attend tuition-free. The school's approach is geared toward one central mission: the enrollment of every graduate in a four-year college. Since Eastside was founded in 1996, 100% of Eastside's graduates have been admitted to four-year colleges across the country. <br><br>Eastside has a residential program for students who benefit from the safety, stability and structure it provides. Eastside students come predominantly from East Palo Alto and eastern Menlo Park, as well as from other educationally underserved Bay Area communities. Epiphany School is an independent, tuition-free, middle school for children of economically disadvantaged families from Boston neighborhoods. We admit children of diverse faiths, races, cultures, and cognitive profiles, believing in the Episcopal tradition that we find God in and through each other's presence. Epiphany's small classes, individualized curricula, and extended school days provide rigorous academic, moral and social instruction. In close partnership with families, we are an innovative learning community that affords structured support to help students thrive. Together, we are a school that never gives up on a child. Epiphany challenges students to discover and develop the fullness of their individual gifts. We seek to prepare graduates who will contribute intelligently, morally, and actively to the society they will inherit. Founded in 1930, the Evans Scholars Foundation (ESF) provides full tuition and housing grants to deserving caddies. The fellowship was established by and named for Charles "Chick" Evans, Jr. More than 10,000 caddies, both men and women, have graduated from the program. This year more than 965 deserving caddies attend college on tuition and housing grants from the Evans Scholars Foundation. To qualify, caddies must be nominated by their club and meet four requirements: have a strong caddie record, excellent academics, demonstrated financial need, and outstanding character. Their tuition and housing grants are renewable for up to four years, representing a value of more than $100,000 each year. Ferst Readers is a public 501 (c) 3 nonprofit with the mission to "provide books for local communities to prepare preschool children for reading and learning success." Ferst Readers strives to improve early learning opportunities for every child regardless of income, race, religion or gender with the philosophy that any child who cannot read is at-risk. Four Corners School of Outdoor Education (FCS) was founded in 1984. Based in Monticello, Utah, FCS provides place-based outdoor education on and about the Colorado Plateau (Northern Arizona, Southwestern Colorado, Northwestern New Mexico, Southern Utah). Our mission is to create lifelong learning experiences about the Colorado Plateau bioregion for people of all ages and backgrounds through education, service, adventure, and conservation programs. Free Spirit Media cultivates diverse youth voices to transform media and society. Free Spirit Media provides education, access, and opportunity in media production to over 700 underserved urban youth every year. Since 2000, Free Spirit Media has offered life-changing experiences to youth across Chicago. FSM is advancing education and digital learning through our innovative program model. Hands-on and project-based media production opportunities with FSM are helping young people develop their authentic voice while actively learning about and addressing community issues. French Camp Academy, a Christ centered home and school, exists to serve young people and families for the glory of God. We provide a safe, stable, healing place for young people from families in crisis. The Presbyterian church established two schools in 1885: as The Central Mississippi Institute for girls and French Camp Academy for boys. In 1915, fire destroyed the girls' institute and the schools were combined under the name French Camp Academy. French Camp Academy accepts young people from all over the country who, for one reason or another, need a place to live and learn away from home. Though French Camp Academy has primarily served young people since its founding, it is currently developing programs to offer families that promote health and healing in relationships. The mission of Fun Time is to provide safe, quality, affordable education and care for children of low-income working families and to prepare the children for kindergarten, ready to read and ready to learn. Fun Time provides a comprehensive early childhood learning environment. It is guided by The Florida School Readiness Performance Standards and Head Start Performance Standards. The children are taught by teachers with early childhood education and credentialed staff members. The research-based Creative Curriculum provides a framework and a focus on the interest areas in all classrooms as well as supporting the teachers in providing an emergent curriculum. Fun Time offers an academic content in the curriculum for all children 2-5 years old while recognizing the importance that children learn through play. The Fund for Public Schools works to attract private investment in school reform and to encourage greater involvement of all New Yorkers in the education of our children. This includes working to secure critical funding for system-wide education reform initiatives; facilitating strategic public-private partnerships; managing a targeted set of programs to support city schools; and building city-wide public awareness. In 2002 Mayor Michael R. Bloomberg and Chancellor Joel I. Klein established public-private partnerships as a critical means of supporting public education reform, and The Fund is the primary vehicle for advancing this effort. The Fund has secured unprecedented investment, raising more than $230 million for system-wide reforms and initiatives that support individual schools. GPS Education Partners exists to create partnerships between local businesses and education to meet the needs of non-traditional high school learners. These partnerships offer educational programs that provide students with an opportunity to earn their high school diploma through an integrated learning experience linking academic standards with real-world applications. The Georgia Partnership for Excellence in Education works to inform and influence Georgia leaders through research. We use non-partisan advocacy to impact education policies and practices for the improvement of student achievement. Founded in 1990 by the Georgia Chamber of Commerce and the Georgia Economic Developers Association, the Partnership consists of business, education, community and government leaders who share a vision of improved education. Working to be Georgia's foremost change agent in education, we take the lead in efforts to shape policy and reform education. With a reputation for excellence for over 125 years, Glenwood Academy is greater Chicago's only boarding school that offers a safe, nurturing environment for disadvantaged children. Willing and able to learn but constrained by difficult social and economic situations, each year approximately 150 of these children come to Glenwood to live and learn - both in and out of the classroom. Here, young minds are challenged, character built, family relationships strengthened, and potential attained. More than just a school, Glenwood is a bright new world of promise for disadvantaged children with the ability and desire to succeed. <br><br>Glenwood is a special organization whose services meet the needs of a very specific population - children whose future successes are threatened by their surroundings. Glenwood programs are centered on parental partnership and preventative intervention for economically and socially disadvantaged children from low-income, single-parent families undergoing crisis. Gottesman RTW Academy, founded in 1967, is a co-educational pluralistic, Jewish community day school serving approximately 200 children starting with infant care to early childhood education through eighth grade. Gottesman RTW Academy maintains high standards of academic excellence and nurtures students in an environment infused with the richness of Jewish life. GRTWA inspires intellectual curiosity, critical thinking, and personal integrity to enable our students to emerge as lifelong learners, compassionate individuals, and successful members of society who are rooted in their heritage. As a community day school, GRTWA welcomes families from a wide range of Jewish backgrounds, reflecting the diversity of the American Jewish community today. Grace Place for Children and Families is an educational nonprofit organization guided by our faith-based core values. The idea of grace comes from the generosity of God. Grace Place expresses this generosity as an educational center that provides pathways out of poverty through educating children and families. A large number of our donors and volunteers come to Grace Place through their faith communities. Grace Place does not proselytize. This means that we will not offer assistance on the expressed or implied condition that people must either adhere to or convert to a particular faith. The mission of Grace Place is to put our faith into action – providing pathways out of poverty by educating children and families. What a wonderful way to fulfill the greatest commandments, to love God and neighbor! Our vision is that all families have access to education to break the cycle of poverty. Since our beginning in 1983, Grand Island Public Schools Foundation has made it our mission and goal to enhance a tax-funded education by creating additional opportunities for students through philanthropic means. Our generous donors have given us the capacity to invest approximately $1 million annually into programs benefiting students of the Grand Island Public Schools. Programs and projects that fall under our enhancement umbrella include booster clubs, college scholarships for Grand Island Senior High graduates, the renovation of the W.J. Arrasmith Planetarium, the development of district vocational and recreational facilities, teacher and student recognition, alumni relations, the Grand Island Senior High Hall of Honor, the Classroom Mini-Grant Program, and the Student Kindness Fund. Founded in 1983, GRASP is a college-access organization that assists students and families in obtaining funding for post-secondary education. GRASP will help students and their families, regardless of their financial resources and at no charge to them, develop an educational plan. Our goal is to ensure that every student has an equal opportunity for continuing education after high school, regardless of financial or social circumstances. Since 1966, Guadalupe School has provided hope to thousands of Utah's children and adults through the transforming power of education. Our mission is to teach economically disadvantaged children and non-English speaking adults the vision and skills needed to live productive, rewarding lives. Founded in 1920 by William A. Hadley, Hadley Institute for the Blind and Visually Impaired promotes independent living through lifelong, distance education programs for people who are blind or visually impaired, their families and blindness service providers. Hadley is the largest worldwide distance educator of blind and visually impaired people. Hadley offers courses free of charge to its blind and visually impaired students and their families and affordable tuition courses to blindness professionals. Today, the school serves more than 10,000 students from all 50 states and 100 countries. Students receive specially-designed course materials in a medium of their choice: braille, large print, audio or online. Harlem Academy is an independent school (grades 1-8) that prepares bright, motivated students for success at top secondary schools and lifelong learning. The school offers merit-based admissions, cultivates strong family partnerships, and ensures its economic diversity by meeting all demonstrated need for tuition support. Harlem Academy is a school offering the highest standards of academic rigor and character development as a catalyst for lifelong learning, thoughtful citizenship and upward mobility. The school opened in 2004 with a first grade class and now has 113 students in grades one through eight. Higher Achievement was founded in 1975 by Greg Gannon, a teacher at Gonzaga College High School in Washington, DC. Higher Achievement closes the opportunity gap during the pivotal middle school years. By leveraging the power of communities, Higher Achievement's proven model provides a rigorous year-round out-of-school-time learning environment, caring role models, and a culture of high expectations, resulting in college-bound scholars with the character, confidence, and skills to succeed. Over the past 35 years, Higher Achievement has worked with more than 10,000 youth in the DC Metro area. On average, 95 percent of Higher Achievement scholars advance to top academic high schools and 93 percent go on to college. Incorporated as a nonprofit in 1984, the Highland Park Education Foundation exists to support quality education in the Highland Park Independent School District. Some of the programs supported by the Education Foundation include teacher salary support district-wide, teacher leader academy, distance learning, resiliency training, New Jersey writing project in Texas, curriculum alignment and teacher training, technology and Teacher of the Year awards. The Hillsborough Education Foundation serves the students, teachers and public schools in Hillsborough County. The Education Foundation has invested more than $80 million in our public schools since 1988. Our objectives are two-fold: We want to make sure that every child and teacher have the critical resources they need to have the best learning experience in our schools, and we want to support the mission of Hillsborough County Public Schools. The Hispanic Scholarship Fund (HSF) provides scholarships to Latino students, as well as related support services. HSF seeks to give students all the tools they need to apply to college, do well in their course work, graduate, enter a profession, excel, help lead our nation going forward, and mentor the generations to come. The Home School Foundation's (HSF) vision is to see every homeschooling family have the resources they need to provide the best education they can for their children. Founded in 1994 as the charitable arm of Home School Legal Defense Association (HSLDA), HSF assists individual families homeschooling in the U.S. through very difficult circumstances by providing privately-funded grants to help with the cost of curriculum and other emergency needs. Through a variety of funds, HSF helps widows, single parents, families with special needs children, low income and military families, and those who have lost their homeschooling materials due to fire, flood or storm. HSF is a member of the ECFA and a recognized charity of the Combined Federal Campaign (CFC #10535). Founded in 1947, the Horatio Alger Association of Distinguished Americans is dedicated to the simple but powerful belief that hard work, honesty and determination can conquer all obstacles. Today, through its Members, the Association continues to educate our nation's young people about the economic and personal opportunities afforded them by the promise of the American free enterprise system. Through its scholarship programs, the Association encourages students to pursue their own version of the American Dream. While providing scholarship opportunities, Association Members mentor the Scholars and underscore the importance of service to others. The Members work directly to provide promising young people with the support, education and confidence needed to realize their aspirations. Horizons National is a network of high-quality academic enrichment programs that provide long-term deep engagement to low-income public school students. The hands-on approach is designed to fuel a life-long passion for learning, using a blend of high-quality academics with arts, sports, cultural enrichment, and confidence-building challenges, particularly swimming. The mission of IHADLA is to help at risk-youth and their families become empowered members of society by providing a long-term program that includes: academic support, college and career readiness, life skill development, parent engagement, and social-emotional support, plus the offer of a scholarship for higher education to assure the best outcomes for employment and life success. Our vision is that the cycle of intergenerational poverty will be broken in our life-time, as increased access to education leads to high-school graduation, college completion, and higher rates of employment. We seek to achieve our mission and make our vision a reality by sponsoring entire grades in low-income academically at-risk elementary schools, working with students, who we call "Dreamers", for 10+ years, through high school and into college. We then offer each high school graduate an $8,000 scholarship to be used for post-secondary education. I Know I Can gives every qualified Columbus Public School District graduate the opportunity to go to college. The program was founded in 1988 on the belief that every child who wishes to pursue higher education should have the opportunity to do so and should not be denied that right because of his or her economic status. We believe that by removing the motivational, informational and financial roadblocks to success, we can help level the educational playing field for Columbus city students and graduates. We motivate students to stay in school and pursue college, advise students and parents how to apply to college and access financial aid, fund students with Last Dollar Grant and leverage additional financial assistance, and support students once in college to help ensure completion. The Illinois Network of Charter Schools (INCS) brings together students, parents, educators and administrators who all share a common goal: to improve the quality of public education by promoting and strengthening charter schools throughout the State of Illinois. At INCS, we believe strong charter schools help create a better public school system for everyone. Some of the benefits charter schools deliver include: Student Outcomes; Parent and Community Empowerment; and Innovation. Inner-City Arts provides elementary, middle and high school students, many living in Los Angeles' poorest neighborhoods, with the tools and skills they need to succeed academically and personally. Our unique approach to arts education brings elementary, middle and high school students, educators, families and the community to Inner-City Arts' award-winning campus an oasis of creativity and learning in one of the nation's poorest neighborhoods to work with professional teaching artists in well-equipped studios and performance spaces. Inner-City Scholarship Fund (Inner-City), a not-for-profit organization, was founded in 1971 by the late Terence Cardinal Cooke and a group of prominent New York executives from many religious backgrounds. Inner-City seeks to provide tuition assistance to students from low-income families who wish to attend inner-city Catholic schools within the Archdiocese of New York, thus making values-based Catholic education a viable choice for children of all faiths. Through the generosity of its volunteers, Inner-City is also able to supplement the education received with a variety of enrichment programs to benefit these children and the schools they attend. The Institute for Educational Advancement (IEA) is dedicated to supporting our nation's most talented young people to identify and develop their fullest potential. IEA focuses its attention on creating and supporting educational practices and policies that are student-centered and that promote academic rigor, high standards, excellence in the arts and educational innovation. The Institute crosses traditional educational boundaries by working in public, independent, parochial and alternative schools. IEA initiatives foster intellectual curiosity, the acquisition of knowledge, confidence, creativity, responsibility and moral decisiveness. The Intercollegiate Studies Institute (ISI) is a non-partisan, educational organization whose purpose is to further in successive generations of college youth a better understanding of the values and institutions that sustain a free and humane society. Founded in 1953, ISI works to educate for liberty - to identify the best and the brightest college students and to nurture in these future leaders the American ideal of ordered liberty. ISI seeks to enhance the rising generation's knowledge of our nation's founding principles - limited government, individual liberty, personal responsibility, the rule of law, market economy, and moral norms. The Institute annually works with hundreds of thousands of students and faculty through its integrated program of lectures, conferences, publications and fellowships. Founded in 1878, the Iowa State University Alumni Association's long-held mission is to facilitate the lifetime connection of alumni, students, and friends with Iowa State University and each other. Our vision is to be the central organization serving and connecting all alumni and members of the Iowa State family. We host a variety of events, programs and services for alumni and friends locally and across the nation, to engage alumni in the life of the university. Founded in 1998, IslandWood is a unique 255-acre outdoor learning center designed to provide exceptional learning experiences and inspire lifelong environmental and community stewardship. We offer programs for everyone - children, graduate students, teachers, families, and adults. Through its flagship School Overnight Program, IslandWood's educators combine scientific inquiry, technology and the arts to help Puget Sound-area students discover natural connections with the outdoors. A wide range of community programs is available for children, adults and families that enhance individual exploration and understanding of the natural world. IslandWood offers hands-on learning opportunities using the unique ecology and natural history of the Puget Sound. Lifelong learning is encouraged to inspire environmental and community stewardship.